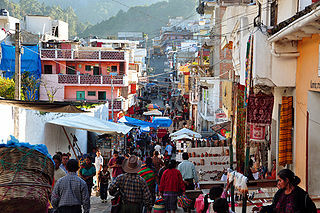 Soon I’ll be busy with Guatemalan things. So I’ll be taking a break from writing this blog post for two weeks while I’m away. I’ll miss connecting with you. Playing with Eckhart’s words, “to accept this moment fully,” aren’t we in each moment that we’re accepting fully? Yes … right? Then wouldn’t it be cool if we accepted ourselves in each moment fully? How about if we even LOVED ourselves? Totally embracing ourselves with love and letting ourselves be embraced with sweet soft love. And wouldn’t it be cool if we accepted and LOVED all of ourselves? I find it easy to love the parts of myself that make me proud of myself. And to love the parts that others admire. And then there’s the so-called “flawed” parts – the part that is too fat or the part that is too worried or the procrastinator part or the wrinkled part – and so on and so on. What if we had no self-judgments? Only love for every “flawed” part. Embracing them all in sweet soft love in the moment. Every moment. Eckhart says then we’ll be at ease in the here and now and at ease with ourselves. Sweet ease in the here and now for ourselves and for everything else. While I am away, I wish for you radical love. Dare to love yourself fully and completely. Every part, even the parts that you might think are “flawed.” Loving yourself means staying present and feeling fully all that’s alive in you. Speaking your truth. Seeing your “mistakes” as opportunities for growth. Knowing that doing your best is enough. You will be rewarded with sweet ease, a deep and abiding ease. The easeful place where you can enjoy what it means to be truly humanly and divinely yourself.